The track is clear and as the mid-mounted engine roars behind you, you flick through the close-ratio gears, aim the nose at the apex of an unravelling corner, and feel the grip and responsiveness of one of Lotus' hottest, track-developed sports cars. There are no speed limits here. You're now a member of the Lotus Driving Academy. Just as Lotus is entering an exciting new era, the Lotus Driving Academy has been developed to cater to our fellow car enthusiasts including the Lotus driver of today and tomorrow. At the Lotus Driving Academy you can explore the Lotus range on highly acclaimed international tracks under the guidance of our world-class instructors, honing your skills behind the wheel and maxi mizing your driving enjoyment. And if a road-legal car is too tame to quench your need for speed, get to grips with the exhilarating Evora GT4 - as driven by our famous works drivers – and discover for yourself what being a Lotus racer is all about. All our programmes feature exclusive 1:1 tuition to ensure you get the most out of your course, and we welcome drivers of all levels of experience. When you visit our impressive manufacturing facility at Hethel, Norfolk UK, you'll explore the epicentre of Lotus and discover how our world class, high performance sports cars are individually hand crafted and what makes them so special. No two tours are ever really the same at the Lotus factory, where precision manufacturing is beautifully combined with innovative engineering. Discover the history and heritage of Lotus as you follow each step in the creation of our magnificent machines, and take a walk through the years that saw the company develop from one mans vision into the automotive thoroughbred it is today, and the exciting prospects that are just around the corner. Our global headquarters at Hethel is the perfect environment to provide a unique atmosphere for your event. 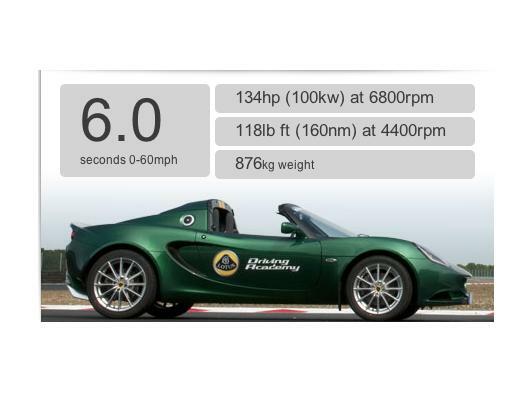 We are able to offer a wide variety of on-track activities with the iconic Lotus Elise and the award-winning Lotus Evora S, ranging from fun driving sessions to professional coaching backed with on-board video and GPS analysis. In addition we provide guided tours of our impressive manufacturing facilities and the historic workshops of Classic Team Lotus. Our fully-equipped conference facilities can accommodate groups from 2 to 50 guests and are fitted with modern presentation technology. It goes without saying that we are happy to provide all event amenities such as full catering, hospitality, transfers, accommodation and much more.